Did we read the small print? Back in 1973, we joined the EEC. That was the European Economic Community. The point of it was to relax the trade barriers between the members so that we basically had guaranteed trading partners – so we’d all help each other out. What’s often forgotten is that this was actually our third application to join. We had previously tried to apply in 1963 and 1967. I realise we were not exactly an economic powerhouse in those years, but we were hardly a burden either. So we applied three times to join the EEC and were third time lucky. Not very easy to join, then. At some point during my school years, the name seemed to change to the EC. I hardly noticed, since it was right in the middle of my exams and it was the ‘Economic’ word that got dropped anyway. This seemed cleaner. ‘European Community’ was less of a mouthful. It seemed more efficient this way. From what I could tell, the European Community was doing all the same things as the European Economic Community anyway. The only thing that seemed a bit different was that a geography teacher I had, suddenly started getting sarcastic about the overproduction of food (grain mountains). I learned that we had massive food reserves sitting around that weren’t going anywhere other than ‘off’, while other people were going hungry. A red flag should have gone up at this point. When the word ‘Economic’ was dropped from the EEC, I should have realised that our agreement wasn’t about economics any more. Then, the ‘C’ changed to a ‘U’ and we became the ‘EU’. Our ‘community’ became a ‘union’. At least a community still had a marketplace feel to it. By becoming a union, there was something a bit more strongarm about it. Then it hit me. The ‘EU’ was a legal construct. But I wasn’t in a position to do anything about it. I had a degree to finish and blogs hadn’t been invented. Around this time, other countries started to sign up. And they were allowed in pretty easily. But the deed had been done. 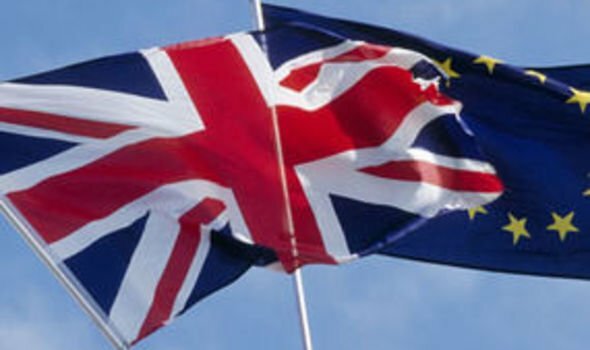 The EEC – a trading agreement – had become the EU – a sort of government over the member states. This is not what we signed up for. Was it written in the small print of our original membership agreement that the EEC reserved the right to completely change its purpose and form an overarching government at some point in the future? At this time of writing, the supreme law in this land is EU law – not our own. That doesn’t sound like a trading agreement to me. That sounds like the beginnings of a dictatorship. No wonder all those late-joiners were able to join so easily! I’m sure Brussels was thrilled to have a wider locus of control. Bottom line? We signed up to a trading bloc. It has become a government. That’s something completely different. We need to have a debate, a referendum, anything. Too great a change has been effected without consulting the people as to their wishes. This entry was posted in Democracy, EEC, election, EU, Europe, Kafka, Orwell, Politicians, Totalitarianism, voting and tagged Democracy, eec, election, eu, europe, Kafka, Orwell, Politicians, Totalitarianism, voting. Bookmark the permalink. 1 Response to Did we read the small print?